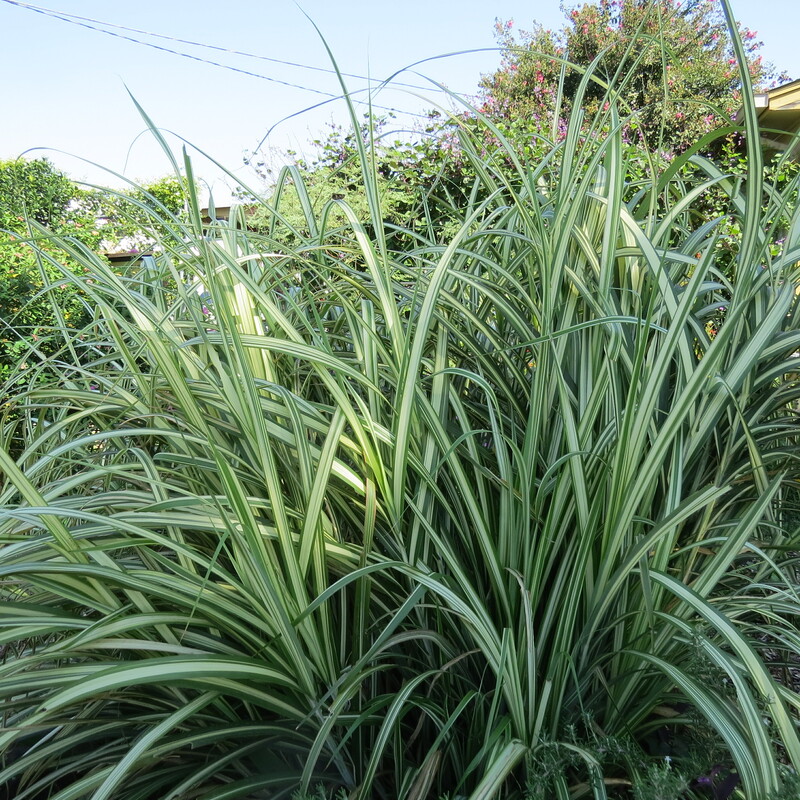 Take a look with us at one of our beautiful ornamental grasses, Miscanthus sinensis, “Morning Light’. Above: Mutablis Rose, Miscanthus, Mexican Feather Grass,and Salvii gregii in our spring garden. 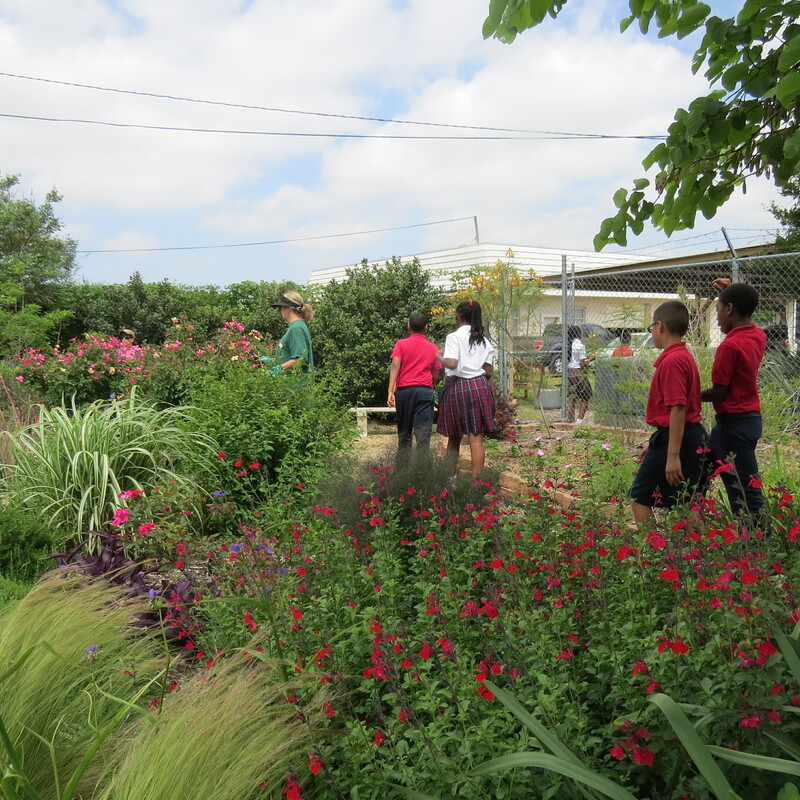 Don’t you like the way the children’s uniforms compliment the garden colors? In the summer its variegated leaves glisten. 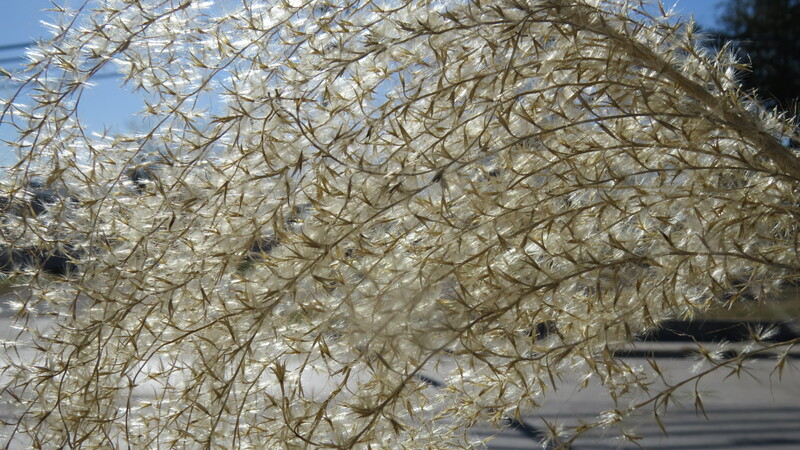 In the Winter the grass turns brown and brightens the sky with its tawny panicles. The panicles glow in morning light. Alas, there is a season for everything and even grasses must be sheared. To learn more about a new grass pruning method click here. And don’t grow weary, Morning Light will come again. 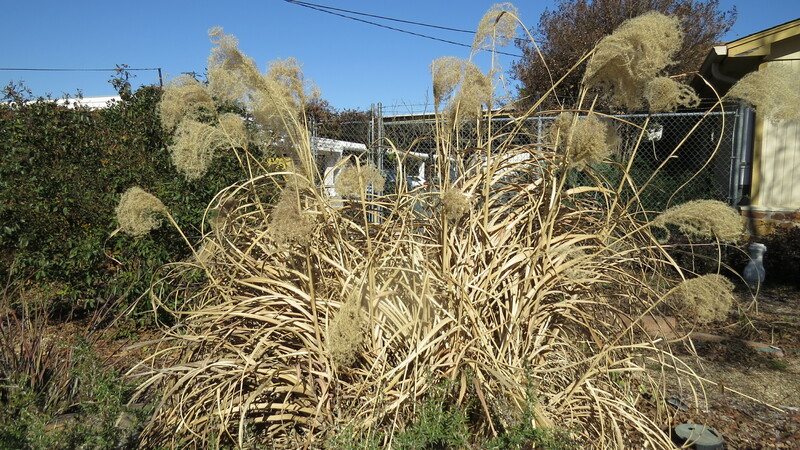 Posted in ornamental grass and tagged Miscanthus, Ornamental Grasses. Bookmark the permalink. Hey, this grass is lovely, and I want to say thank you for the Vegetable Garden Journal! Did you mulch or cover the onions, potatoes, lettuce, etc, that you planted so early, or did we have a milder winter last year?